An electrical assembly is a combination of more protection and switching devices, grouped together in one or more adjacent cases (column). In an assembly the following parts can be distinguished: a case, called enclosure by the Standards, (it has the function of support and mechanical protection of the housed components), and the electrical equipment, formed by the internal connections and by the incoming and outgoing terminals for the connections to the plant. As all the components of an electrical system, also assemblies shall comply with the relevant product standard. As far as Standards are concerned, an evolution has occurred with the replacement of the former IEC 60439-1 with the Stds. IEC 61439-1 and IEC 61439-2. 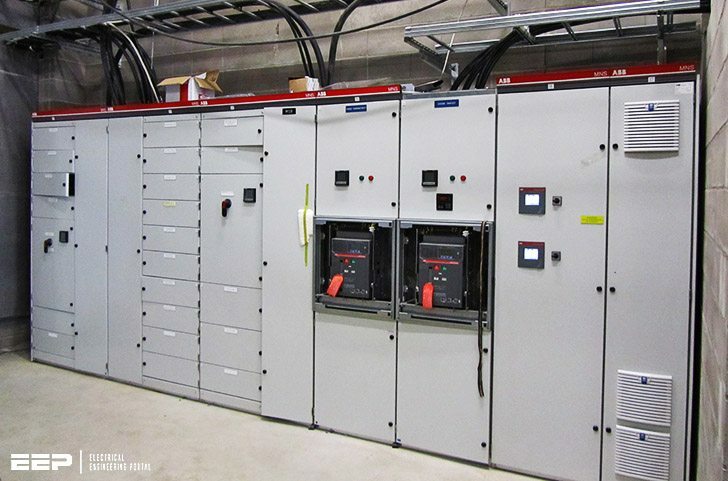 These Standards apply to all the low-voltage switchgear and controlgear assemblies (for which the rated voltage does not exceed 1000 V in case of a.c. or 1500 V in case of d.c.). Throughout this document, the term assembly is used for a low-voltage switchgear and controlgear assembly. Giving a document which includes useful information for the realization and certification of LV assemblies in compliance with the Standards IEC 61439. An example of choice of products (circuit-breakers, conductors, distribution system, busbars and structure) for the construction of ArTu assemblies. In an assembly the following parts can be distinguished: a case, called enclosure by the Standards, (it has the function of support and mechanical protection of the housed components), and the electrical equipment, formed by the internal connections and by the incoming and outgoing terminals for the connections to the plant). Such system shall be assembled in order to meet the safety requirements and satisfy as much as possible the functions for which it has been designed. Thanking you very much for your uploading technical articals. Aerticals are the very useful to everyone. I need Panels/DBs costing software, where i get free/paid, pls help.